with sections in this Arkansas State Parks Guide. OUR MISSION Arkansas State Parks enhance the quality of life through exceptional outdoor experiences, connections to Arkansas heritage, and sound . resource management. O U R G O A L is for you to experience excellent hospitality and to form a personal connection to the parks. We honor tradition while seeking innovation, aiming to be treasured and relevant for generations to come. AVAILABLE IN PARK Note: All state parks remain open year-round; however, some facilities close on certain days of the week or seasonally. Unless demand dictates, some bathhouses are closed December-February. Contact the individual state park for details. In 1907, officials of the Fort Smith Lumber Company toured Petit Jean Mountain in the Arkansas River Valley. Although concerned about difficult logging operations due to rugged terrain, they were so impressed with the mountainâ&#x20AC;&#x2122;s beauty that they suggested it join the National Park System. By 1921, company physician Dr. T.W. Hardison was leading this effort: after securing legislative approval, he approached National Parks Director Stephen Mather with an offer. Upon review, Mather asserted the property was indeed striking, but not of national significance. He challenged Dr. Hardison to establish a State Park system – an idea Hardison enthusiastically embraced. With land donations and legislative support, Act 276 of 1923 was passed and the Arkansas State Parks were born. Growth came in the 1930s with vital contributions of the Civilian Conservation Corps (CCC). Parks were added, and the CCC built facilities and infrastructure, much of which stands today. Then and now, State Parks were favorably received. We now have 52 state parks on 54,400 acres, with 1,800 campsites, 208 cabins, and five lodges serving 8 million visitors annually. In 1996, Arkansas voters passed a constitutionally dedicated conservation sales tax, Amendment 75, benefiting Arkansas State Parks and three sister conservation agencies. Today, Arkansas’s State Parks are among the most respected in the U.S. INTERPRETIVE PROGRAMS We know your free time is valuable, and we want to help you make the most of your schedule, so we offer a diversity of interpretive programs and events to help you make memories of a lifetime. Your interpretive guides understand the history of the area and know the land, and most of them live in the park 365 days a year. They are in tune with nature’s rhythms and able to point out things you may miss, such as birds singing in the tree canopy above, signs of wildlife foraging in the forest, or remnants of a historical homestead. Our interpreters are trained to engage with you in dialogue and find out what you’re interested in, hopefully sparking inspiration to experience more. We believe that through awareness comes understanding, and through understanding comes appreciation and protection of the parks, so they can be enjoyed for generations to come. We offer over 50,000 family-friendly programs each year, including lake tours, guided hikes, birding adventures, living history demonstrations, kayak outings, nature games, historic site tours, bald eagle watches, spring wildflower walks, campfires, outdoor skills workshops, and much more. Be sure to take advantage of our fully searchable online calendar of events available year-round. This handy tool allows you to customize your search with specific dates, locations, and/or keywords. Save this page in your web “Favorites” and visit it often. CALLING ALL YOUNG EXPLORERS (YOUTH AGES 6-14) Our youth conservation program is free and open to all visitors ages 6-14 who wish to earn a special certificate and badge. The goal is for kids to have fun, gain a sense of accomplishment, get to know the parksâ&#x20AC;&#x2122; resources, meet park staff, and make positive memories in state parks, building a future generation of park stewards. Most required questions and activities are open-ended, allowing kids with a range of ages and life experiences to participate. The Explorer program can be earned at any Arkansas State Park, including historic parks and museums. Activities can be completed at several locations, or all at one site. The program is available year-round and is simple enough to be done in a single weekend, but also can take as long as you need. Participants attend five interpretive programs, completing activities and answering questions about their experience in a provided Field Guide. To finish, Explorers meet with a park official for a special ceremony (and photo opportunity!) to take a pledge and be presented with a badge and certificate. Read more at ArkansasStateParks.com and request a Field Guide at any park location. CONNECT TO THE PARKS B E F O R E YO U G O. . . The Arkansas State Parks website is a great starting point when planning your next adventure. 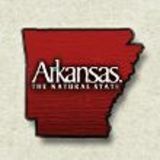 Use ArkansasStateParks.com to pick a park, locate a trail, and book a campsite, cabin, or lodge room. It also contains a complete calendar of events. Park interpreters routinely schedule and add events on culture and history, as well as environmental education and resource-focused recreation activities, so check it regularly for what’s happening at a park near you. “Like” us on Facebook.com/StateParksofArkansas to keep up with news and events. Share your photos on social media using the hashtag #ARStateParks. Follow us on Instagram and Twitter. PLAN YOUR STAY Arkansas State Parks make for affordable getaways. Whether you are planning a weekend stay, vacation with family and friends, corporate event or wedding, there are many ways to accommodate your group in the most beautiful, relaxing, and inspiring places in The Natural State. Choose from lodge rooms, cabins, campsites, or yurts. access to business centers. Many rooms also include refrigerators and telephones. During the summer months, a pool is available to lodge and cabin guests at Petit Jean, Mount Magazine (year-round), and DeGray Lake Resort state parks. CABINS While all of our cabins are unique and range from historic Civilian Conservation Corps structures to newer designs, they all have modern amenities such as linens, fully equipped kitchens (with the exception of Ozark Folk Center and some at Petit Jean State Park) full bathrooms, television, heat and air, housekeeping services, and full furnishings. Some cabins offer other amenities such as Wi-Fi, fireplaces, washers and dryers, and hot tubs or Jacuzzi-style tubs. During the summer months, a free pool is available to cabin guests at Ozark Folk Center, Petit Jean, Mount Magazine (year-round), Devilâ&#x20AC;&#x2122;s Den, Mount Nebo and Lake Fort Smith state parks. CAMPING •	Class AAA – These campsites include 50 Amp electrical service, water hookups, and sewer hookup. Most include picnic tables, lantern hanger, and grill. Many of these sites also include a separate tent pad. •	Class AA – These campsites include 30 Amp electrical service, water hookups, and sewer hookup. Most include picnic tables, lantern hanger, and grill. Many of these sites also include a separate tent pad. •	Class A - These campsites include 50 Amp electrical service, and water hookups. Most include picnic tables, lantern hanger, and grill. Many of these sites also include a separate tent pad. •	Class B - These campsites include 30 Amp electrical service, and water hookups. Most include picnic tables, lantern hanger, and grill. Many of these sites also include a separate tent pad. •	Class C – These sites have either water hookups or 30 Amp electrical service, not both. Some include picnic tables, lantern hanger, and grill. Many of these sites also include a tent pad. •	Class D – These are considered tent sites and have no electrical, water or sewer hookups. Most have tent pads, picnic tables, lantern hangers, grills and/or fire rings. •	Hike in Camping – These campsites vary in distance from parking. Some are a short walk on a paved path, while others are hikes that can be as much as two or three miles. They have few amenities other than tent pads and fire rings. Some have picnic tables, grills and dedicated bathroom facilities. Please contact the park directly for details. UNIQUE CAMPING • Yurts – A round, tent-like structure that sleeps up to six people in bunk beds. They have wooden floors and include a table, chairs, a cooler, a grill and picnic table outside. No linens are supplied, and bathroom facilities are available at a nearby bathhouse. •	Rent-An-RV – This is a fully equipped recreational vehicle that sleeps up to eight people and includes a private bath with shower, deck with gas grill, heat, air conditioning, refrigerator, microwave, stove, television, and gas grill. Linens are not included but there are cooking and eating utensils. •	Rent-A-Camp – This is a large walled tent on a wooden deck. It includes two cots with foam mattresses, a lantern, a two-burner stove and an ice chest. Linens are not provided. •	Camper Cabin – These sleep up to four people and include heat and air, dining table, and screened-in porch. Outside they have a picnic table, lantern hanger, grill and fire ring. They do not include linens, a kitchen, or bathroom. Bathrooms are available at a nearby bathhouse. A PARK The beauty of Arkansasâ&#x20AC;&#x2122;s 52 state parks is that they are all unique in their own way and all free for you to enjoy in your own way. From scenic spots to adventure getaways, history tours to lake cruises and fishing trips, there are so many options. Pick a park based on what kind of experience you are seeking. ADVENTURE From epic mountain biking around a lake to trail running on the stateâ&#x20AC;&#x2122;s highest peak, there are locations across the state that will push you beyond your limit, where you can say you achieved your new Personal Record, and where youâ&#x20AC;&#x2122;ll want to beat it tomorrow. These are the adventure parks that get our hearts beating fast, but there are more to explore on foot, by bike, on ATV, or horseback. fishing, kayaking, and pedaling. Plus, it’s a popular place for horseback riding with 25 miles of trails and a dedicated horse camp with washing bays and stalls. Arkansas. Take your time, stopping to enjoy (and photograph) the view from scenic overlooks and the unique rock formations down in Lee Creek Valley. It’s also a great place for camping. the place where the first Bowie knife was forged. Park interpreters dressed in period attire continue to demonstrate early trades like blacksmithing and candle making. boardwalk, exhibits tell about the Louisiana Purchase and describe the flora and fauna. PARKIN ARCHEOLOGICAL STATE PARK pg. 47 Many scholars believe the Parkin site is the American Indian village of Casqui visited by the expedition of Hernando de Soto in 1541 and written about in his chronicles. HISTORY Native American mounds, Louisiana Purchase lands, and Civil War battlefields are just a few of the historical sites in Arkansas. Many state parks help tell the stories of the events that took place and the people who lived them. MOUNTAINS In Arkansas, the mountains call to you. The picturesque Ozarks in Northwest and North Central, and the rolling hills of the Ouachitas in Southwest offer relaxing escapes and epic adventures. The state parks located on these . peaks and in these valleys are some of the most scenic spots in Arkansas. bridges, trails, rustic-style cabins, and pavilions. centerpiece of the park is the historic lodge that has been totally updated. marina with boat rentals, plus lake cruises and other fun interpretive programs. LAKE FORT SMITH STATE PARK pg. 84 Located on Lake Fort Smith, this park is a favorite for kayaking and fishing. It’s also great for camping and for families with an RV. Bring the mountain bikes or set out on a hike on the Ozark Highlands National Recreation Trail. MISSISSIPPI RIVER STATE PARK pg. 56 It’s hard to explain the vital role the Mississippi River has on the Delta. This park does just that on guided hikes, kayak tours, and van tours along Crowley’s Ridge Parkway and the Great River Road. LAKES AND RIVERS Fishing, floating, boating, water-skiing, scuba diving, swimming â&#x20AC;&#x201C; with some of the cleanest lakes and rivers in the country, you can do just about anything on the water. Several state parks have marinas and boat rentals to outfit your day of fun. 2009 Main Street, Des Arc, AR 72040 Park Information: 870-256-3711 Email: LowerWhiteRiverMuseum@Arkansas.com Museum GPS: 34.976875, -91.516584 Discover the role of Arkansasâ&#x20AC;&#x2122;s White River, with emphasis on the Lower White, as a vital transportation route for early settlers on the Arkansas frontier. Museum exhibits interpret the riverâ&#x20AC;&#x2122;s influence on settlements during the steamboat era and the expansion of commerce from its roots in hunting and fishing into shelling, timber, agriculture, pearling, and button making. Life-sized figures of a steamboat captain, slave, schoolteacher, and land surveyor greet visitors, introducing themselves with dialog taken from oral histories and slave narratives for a truly interactive experience. Admission to the museum is free. 11901 Pinnacle Valley Road, Little Rock, AR 72223 Park Information: 501-868-5806 Email: PinnacleMountain@Arkansas.com Visitor Center GPS: 34.844683, -92.462611 Just west of Arkansasâ&#x20AC;&#x2122;s capital city of Little Rock, Pinnacle Mountain stands as the centerpiece of this geographically diverse state park. This day-use park offers a variety of outdoor adventure on the Big and Little Maumelle Rivers, in the Arkansas Arboretum, and along over 15 miles of trails including 7 miles of challenging mountain bike trails. Hike to the top, explore the rivers, or take in one of the many interpretive programs offered by park staff. Visit the park visitor center, enjoy a picnic, or reserve a pavilion for a larger gathering. 4815 Highway 161 South, Scott, AR 72142 Park Information: 501-961-1409 Email: PlantationAgriMuseum@Arkansas.com Museum GPS: 34.695251, -92.097111 Located in Scott, Plantation Agriculture Museum preserves Arkansas’s farming history. Housed in a series of buildings is the museum itself with exhibits and programs, the Dortch Gin Exhibit containing a 1919 cotton gin, the historic tractor shed, and the seed warehouse. Live demonstrations include water pumping and cotton ginning. It’s a highly interactive park where kids and adults alike can explore where and how crops are grown, harvested, and processed into foods we eat and products we use. Special events include the Annual Antique Tractor and Engine Show. Scott is just minutes from downtown Little Rock and makes for a pretty drive into the Delta. It’s also a popular stop for cyclists riding the Harper’s Loop route. TOLTEC MOUNDS ARCHEOLOGICAL STATE PARK 1 8 M O U N D S. L I M I T L E S S D I S C OV E R I E S.
490 Toltec Mounds Road, Scott, AR 72142 Park Information: 501-961-9442 Email: ToltecMounds@Arkansas.com Visitor Center GPS: 34.645878, -92.060408 A National Historic Landmark, one of four in the Arkansas State Park system, this park interprets the largest and most complex mound site in the state. It also offers the rare opportunity to see archeological research at work. This site was a ceremonial ground for prehistoric Native Americans and stands today as an important and fascinating piece of history. A popular field trip destination for local schools, the park recommends that requests for guided tours be made well in advance. Located 4 miles from Scott, a short and beautiful drive from Little Rock. 82 Woolly Hollow Road, Greenbrier, AR 72058 Park Information: 501-679-2098 Email: WoollyHollow@Arkansas.com Visitor Center GPS: 35.287981, -92.289222 This is a classic state park experience with fishing, boating, and swimming on 40-acre Lake Bennett in Greenbrier about 18 miles north of Conway. The lake was built in the 1930s by the Soil Conservation Service as its first watershed project. Today it offers a launch ramp with canoes, kayaks, pedal boats, and fishing boats for rent at the park. Bring your own pole, bait, and tackle. A snack bar is open near the lifeguarded swimming beach in the summer. Park facilities also include 30 AAA campsites, 4 tent sites, and a bathhouse for hot showers. History buffs will enjoy the Woolly Cabin, an original 1882 one-room family homestead. The 9.4-mile Enders Fault is a mountain biking destination. Hikers have three trails to choose from. 153 Dam Overlook Lane, Bull Shoals, AR 72619 Park/Camp Reservations: 870-445-3629 Email: BullShoalsWhiteRiver@Arkansas.com Visitor Center GPS: 36.369634, -92.576798 Famous for its world class trout fishing, Bull Shoals â&#x20AC;&#x201C; White River State Park lies along the shores of both Bull Shoals Lake and the White River. The scope of the park can first be experienced from the 15,744-square-foot visitor center set high above the Bull Shoals Dam. Its state-of-theart visitor exhibit hall and theater share the history of the area and tell the fishing stories from these waters. Venturing down into the park along the White River, visitors are greeted with 113 campsites (63 class AAA, 30 Class B, and 20 tent sites with no hook ups) plus three Rent-An-RV sites. BULL SHOALS-WHITE RIVER STATE PARK cont. The riverside marina and store offers boat rentals, bait, tackle, and supplies. Besides being the state’s premier park for trout fishing, the park also offers great hiking and mountain biking. Interpretive programs include campfire cooking demonstrations, trout fishing workshops, and nature walks. P.O. Box 36, Mammoth Spring, AR 72554 Park Info: 870-625-7364 Email: MammothSpring@Arkansas.com Visitor Center GPS: 36.495785, -91.535031 A National Natural Landmark, Mammoth Spring is one of the world’s largest springs with nine million gallons of water flowing hourly. It forms a 10-acre lake then runs southward as the Spring River, a famous Ozark trout and float stream. Remnants of a mill and hydroelectric plant are part of Mammoth Spring’s history. The park also features an 1886 Frisco train depot and museum. Adding to the things to do here are a playground, picnic area, baseball field, walking trail, Arkansas Welcome Center, and gift shop. Pedal boats and kayaks are also available for rent. OZARK FOLK CENTER STATE PARK cont. the music and stories of the Ozark region. The weekly program is available on multiple public radio stations or to audiences anywhere on Soundcloud, iTunes and OzarkHighlandsRadio.com. The Heritage Herb Garden is another unique feature of the park where old-time pass-along plants and edible herbs are grown like rosemary, scented geranium, sage, and mint. The Garden functions as a living classroom for workshops and programs. Events celebrating both culinary and medicinal herbs are held in May and October. When booking a visit, check availability at The Cabins at Dry Creek, with 60 rooms conveniently located on-site. Enjoy Southern cooking in the Skillet Restaurant, or try the Smokehouse in the Craft Village. One of Arkansasâ&#x20AC;&#x2122;s five lodge parks, the Ozark Folk Center also has a conference center with facilities for unique and memorable meetings. Loco Ropes, a challenging ropes course and zip line, is located on-site and popular among groups and families. 8047 Highway 166 South, Pocahontas, AR 72455 Park Information: 870-892-4708 Email: Davidsonville@Arkansas.com Park Office GPS: 36.15835, -91.056892 Frontier history and modern-day recreation merge at Davidsonville, once home to Arkansasâ&#x20AC;&#x2122;s first post office and one of the earliest courthouses. Little of Davidsonvilleâ&#x20AC;&#x2122;s existence is evident above ground; archeological excavations here are still uncovering streets, foundations, and artifacts. Fishing is a major activity here as the park borders the Black River and a fishing lake. Pedal boats are available for rent. The new visitor center features a replica 1820s hunter-trapper flatboat, audio tour, and a display of historic finds from archeological digs. Trails, picnic areas, and a newly renovated campground with 20 campsites add to the amenities. This monument honors Herman Davis who grew up hunting near Manila and became a scout and sharpshooter. He was on General John J. Pershing’s list of WWI’s 100 great heroic stories. Private Davis received the Distinguished Service Cross, Croix de Guere, and Medaille Militaire awards from the American and French governments. This historic site preserves Davis’ final resting place and does not include park facilities. 3705 Highway 25, Powhatan, AR 72458 Park Information: 870-878-6595 Email: LakeCharles@Arkansas.com Visitor Center GPS: 36.065476, -91.152838 A half-hour from Jonesboro and about 1.5 hours from Memphis, Lake Charles State Park is a peaceful place located on a 645-acre lake filled with bass, crappie, bream, and catfish. In fact, itâ&#x20AC;&#x2122;s the place where the largest number of 20-inch bass have been caught in Northeast Arkansas. A full line of bait and tackle is available at the visitor center from March through October. There are 60 campsites, a third of which are Class AAA, with many spots right on the water. A yurt offers an additional lodging option. The park is also a great getaway in fall and winter months with four hiking trails and a 3-D archery range (open November through February). Lake Poinsett is a small, quiet park that is perfect for getting away for the weekend or just a few hours to fish. There are boat rentals and launch ramps on-site with a bait shop nearby. The day-use area includes several picnic tables for family lunches, a new heated and cooled pavilion, a playground for the kids, and an open field for ball games. Year-round interpretive programs educate guests on wildlife and the history of the area with trail hikes and kayak tours available. The trails are easy to traverse for all ages. Facilities also include 29 campsites (four Class A, 22 Class B, and three tent sites). From Harrisburg, the park is 1 mile east on Hwy. 14, then go 2 miles south on Hwy. 163. * Lake Poinsett is currently drained for lake repairs. P.O. Box 93, Powhatan, AR 72458 Park Information: 870-878-6765 Email: Powhatan@Arkansas.com Powhatan Courthouse GPS: 36.082145, -91.118793 The uniqueness of this park is in its preservation: all six historic buildings stand in their original 19th-century locations. Built on a hill to overlook and welcome Black River steamboat traffic, the 1888 courthouse contains exhibits interpreting the commerce and culture of Lawrence County from Reconstruction through the early 20th century and is free to the public. Guided tours by knowledgeable interpreters are available in the remaining historical structures, including a log house, school, church, and jail. Popular among families, Powhatan bridges the past to the present. Located on Hwy. 25, this park is worthy of a stop. Lake Charles and Davidsonville are within 15 miles, making it possible to visit three state parks in a day. Village Creek State Park encompasses nearly 7,000 acres of beautiful forested hills and clear streams to create an environment found nowhere else in Arkansas. There are 33 miles of multi-use trails, campgrounds with bathhouses, an equestrian campground with stable facilities (includes class B campsites), 10 cabins, two lakes, a day-use area with pavilions and picnic sites, outdoor and indoor theaters, a small museum, and a visitor center with a gift shop. Interpretive programs are available year-round. You can walk on a segment of the Trail of Tears as part of the trails. VILLAGE CREEK STATE PARK cont. coming into play on 12 holes. Open daily, facilities include a full-service clubhouse with pro shop, snack bar, and full driving range. Golf carts are included with greens fee. â&#x20AC;&#x153;MEMORABLE EXPERINCEâ&#x20AC;? This was the 49th state on the road for my father to complete his goal of golfing in all 50 states. The Ridges at Village Creek was a great choice. Every hole is picturesque. Even the travel between holes is beautiful. The course is challenging and fun. Every hole is well groomed. The staff are fantastic. They truly care about the course and go out of their way to ensure you have a great experience. If you are in the area I highly recommend making the trip to this beautiful course. ~ Scott H from Oregon, Wisconsin. TripAdvisor/A Trip Advisor Traveler. June 6, 2017. 5530 Highway 165 South, Gillett, AR 72055 Park Information: 870-548-2634 Email: ArkansasPostMuseum@Arkansas.com Museum GPS: 34.031704, -91.373288 Tour this complex of five exhibit buildings and explore life on Arkansas’s Grand Prairie and in the Arkansas Delta from 1877 to today. The Main House serves as the entrance to your experience. Two buildings on the grounds are original to the Grand Prairie: the 1877 Refeld-Hinman Loghouse, a dogtrot cabin furnished in the style of the 1800s, and the 1933 Carnes-Bonner Playhouse, a miniature built-to-scale version of the Carnes’ family home with children’s furnishings, accessories, and toys. Admission to the museum is free. The large and varied collections of memorabilia make this park worth seeing. CANE CREEK STATE PARK O N E PA R K . T WO N AT U R A L D I V I S I O N S.
Located where the Coastal Plain meets the Mississippi Delta, this park offers you the opportunity to experience both in one visit. The trail system is a point of pride at the park. Trail run, ride, or backpack through rolling terrain, along the lake, and across three suspension bridges. Paddle or fish Cane Creek Lake. Explore nearby Bayou Bartholomew, the worldâ&#x20AC;&#x2122;s longest bayou. Interpretive programs include guided walking, biking, kayaking, and birding tours. Facilities include 29 campsites (11 Class A and 18 Class B), one Rent-An-RV, picnic sites, a backpacking shelter, pavilions, visitor center with exhibits and gift shop, launch ramp, fishing piers, a bathhouse, and playground. Boat and bicycle rentals are available. 5539 U.S. Highway 49, West Helena, AR 72390 Park Information: 870-572-2352 Email: DeltaHeritageTrail@Arkansas.com Park Office GPS: 34.554222, -90.7586 Every visit to Delta Heritage Trail State Park is one to remember. Walking or riding along the packed gravel path, you may encounter a variety of wildlife and plants. When the rail-totrail project is complete, it will be an astounding 85-miles long. Currently the completed northern portion is 21 miles between Lexa and Elaine, with an additional 14 miles on the south end from Arkansas City to Rowher. Eventually, the trail will cross the White and Arkansas rivers. There are currently six trailheads, and you can experience different sights and sounds at each one. This park provides the perfect opportunity to enjoy the Delta by foot or bike with family and friends. Trailhead restrooms available at Barton, Elaine, and Arkansas City. At 20 miles long, Lake Chicot is the largest natural lake in Arkansas and the largest oxbow lake in North America. Its beautiful waters are a favorite with anglers throughout the year. Located near the Mississippi River, the park is situated in one of the largest flyways in the country making it a perfect place for birdwatching. Park programs include lake and levee tours. Enjoy one of the 14 cabins or 122 campsites for your overnight stay. The parkâ&#x20AC;&#x2122;s indoor pavilions are perfect for larger group meetings and reunions. Also available in the park are a marina, a park store, and a seasonal swimming pool. 2955 Highway 44, Marianna, AR 72360 Park Information: 870-295-4040 Email: MississippiRiver@Arkansas.com Visitor Center GPS: 34.75558, -90.722324 Adventure and nature come together at Mississippi River State Park to create a unique family-friendly experience. The newest member of the Arkansas State Park system boasts a variety of campsites ranging from Class AAA to Class D to primitive. Seven bodies of water give visitors ample opportunities for fishing, kayaking, and boating. Hikers will enjoy exploring the many trails and watching for wildlife in the forest. When Arkansas was admitted to the Union as the 25th state on June 15, 1836, James Sevier Conway (1796-1855) took office as Arkansas’s first governor. This 11-acre historic site preserves Conway’s final resting place. The cemetery was the family plot located at the former Conway home site, a large cotton plantation named Walnut Hill. Visitor services are not available at this park. more about diamonds and how to find them using various techniques. Diamonds come in all colors of the rainbow: the three colors found here at the park are white, brown, and yellow. Amethyst, garnet, jade, agate, quartz, and more have also been found here. Park staff members provide free identification, as well as interpretive programs. More than 32,750 diamonds have been found by park visitors since the Crater of Diamonds became an Arkansas state park in 1972. Notable diamonds found at the crater include the 40.23-carat Uncle Sam, the largest diamond ever unearthed in the U.S.; the 16.37-carat Amarillo Starlight; the 15.33-carat Star of Arkansas; and the stunning 8.52-carat Esperanza. Other amenities include walking trails, picnic sites, 47 Class AAA campsites, five walk-in tent sites, a restaurant (seasonal), and gift shop, plus Diamond Springs Water Park (seasonal), a great place to cool off after a summer day of digging for diamonds. DEGRAY LAKE RESORT STATE PARK cont. â&#x20AC;&#x153;LOTS TO DO, EVEN IN WINTER SEASONâ&#x20AC;? indoor hot tub, fitness room, and more. The lodge’s Shoreline Restaurant offers a full menu, plus banquet catering services that can accommodate groups and special requests. The 300seat conference center and breakout meeting rooms host corporate retreats, weddings, and reunions. Being able to provide the best service and hospitality for weddings and events is a point of pride for this park. Swimming beaches, boat launches, pavilions, bicycle rentals, and an amphitheater round out DeGray’s offerings. It’s also known for its interpretive programs, including sunset cruises, snorkeling trips, guided hikes, birding tours, and more. Outdoor workshops and special events are held throughout the year, including winter Eagle Watch Tours on DeGray Lake. For mountain bikers new to the area, the Iron Mountain Trail System is located nearby and hosts a variety of events throughout the year. DeGray Lake Resort State Park is a perfect place to stay if you’re in town racing or riding. This peaceful park is located on Lake Catherine, one of five lakes in the beautiful Ouachita Mountain region. The only marina on the lake is here at the park and open in the summertime for bait and fuel. Boat rentals are available year-round. The park also includes a launch ramp, pavilion, picnic sites, playgrounds, and a well-marked trail that leads to a waterfall. The park has 20 fully equipped cabins, including one two-bedroom cabin with a patio overlooking the water and private access to the lake from its own fishing pier. LAKE CATHERINE STATE PARK cont. There are also many native stone and wood buildings on-site. The history of these structures dates back to the Civilian Conservation Corps (CCC) in the 1930s. The park offers 70 campsites (47 Class AAA and 23 Class B), six primitive tent sites, one Rent-A-Camp, and one Rent-A-Yurt. Many of these sites are on the lakeshore. Park interpreters offer hikes, lake tours, and programs year-round. Guided horseback rides are offered seasonally. LAKE OUACHITA STATE PARK cont. The park has 93 campsites (58 Class AAA, 23 Class D, and 12 walkin tent sites), some right on the water. There are also four camper-cabins and eight fully equipped cabins with kitchens, most of them overlooking the lake. Other facilities include Caddo Bend trail, picnic tables, swimming areas, and a marina with boat and kayak rentals, bait, and supplies. Historic Three Sisters’ Springs is in the park. There are also exhibits and a gift shop inside the visitor center. Interpretive programs such as guided hikes, eagle cruises, and kayak tours are offered yearround. The state park is near Hot Springs and Hot Springs Village. At Arkansas’s first environmental education state park, Logoly’s natural resources provide a living laboratory for students and visitors. Most of Logoly’s 370 acres comprise a State Natural Area that includes unique plant species and mineral springs. This peaceful park surrounded by old growth forest is an easy day trip from Texarkana, El Dorado, Camden, Magnolia, and Hope. Park facilities include six group tent sites (no hookups), a bathhouse with hot showers, pavilion, picnic sites, playground, and multiple trails. Enjoy handson interactive exhibits in the new park visitor center. Park interpreters lead programs and field trips year-round. This is the place for serious bass fishing. A series of boat lanes meanders through submerged timber, marshes, and oxbow cutoffs making Millwood Lake an outstanding fishing destination. This 29,260-acre lake abounds in largemouth bass, catfish, and crappie. Birding is also popular at this Audubon-designated Important Bird Area with sightings of over 300 of the stateâ&#x20AC;&#x2122;s 400 species on record. The park features 45 campsites (29 Class AAA, 13 Class B, and three primitive tent sites). The camping is relaxed and quiet. Nearby are picnic sites plus a self-guided walking trail and a bicycle trail. A marina offers gift items, groceries, bait, gas for sale, and rental fishing boats, canoes, kayaks, and more. A great getaway, this park offers lots of privacy and some of the best cabins in the state. Fishing is popular year-round where Moro Bay and Raymond Lake join the Ouachita River. Park facilities include 23 Class AAA campsites, trails, picnic sites, pavilion, playground, and the Moro Bay Ferry exhibit. A marina with boat and slip rentals, gas and a store make it a good spot for boaters, but even in peak season, it never feels crowded.Each of the parkâ&#x20AC;&#x2122;s five, fully equipped cabins features two bedrooms, two baths, a kitchen, and screened deck and outdoor living area overlooking Moro Bay. Interpretive programs are offered seasonally. Located atop Rich Mountain, Arkansasâ&#x20AC;&#x2122;s second highest peak, Queen Wilhelmina offers some of the most breathtaking views in the state from the fully renovated lodge. Travel the Talimena National Scenic Byway to this park and its lofty setting. This site is as rich in history as it is in scenery. The original lodge was built in the late 1800s as a Victorian resort named Wilhelmina Inn to honor the young Queen of the Netherlands. Two inns followed the original “Castle in the Sky.” The latest inn is today’s park lodge, the crowning attraction at Queen Wilhelmina State Park. The 40-room lodge features a new look and many modern updates. Enjoy Southern cuisine and first-class hospitality in the Queen’s Restaurant. A meeting room with private balcony accommodates up to 75. QUEEN WILHELMINA STATE PARK cont. RED RIVER CAMPAIGN STATE PARKS F O U R PA R K S. F O U R S TO R I E S.
This 12-acre wooded site features plants native to Arkansasâ&#x20AC;&#x2122;s West Gulf Coastal Plain and exotic species including flowering camellias and azaleas. Managed by the South Arkansas Community College, the arboretum offers marked, paved walking trails, a rental pavilion, rental gazebo, restrooms, and parking. Itâ&#x20AC;&#x2122;s a peaceful place to get out and stretch your legs on a long drive or motorcycle ride. To get here from Ark. 82B in El Dorado, turn north on North Timberlane Drive and go 1 mile. with canoes and pedal boats for rent. The park’s hiking, backpacking, mountain bike, and horseback riding trails lead to the surrounding Ozark National Forest. Devil’s Den includes 17 cabins with kitchens and fireplaces and 6 camper cabins. The park also offers 135 campsites (44 Class AAA, 4 Class B, 13 Class C, 24 Class D [no hookups], eight hike-in [tent only], and 42 sites with hookups in the horse camp that includes a bathhouse and access to the horse trails). The park’s cafe is open seasonally. The pool is open in summer only. Also on-site is a group camp, standard pavilion, playground, store, and meeting room. Join park interpreters on hikes along trails including the 15-mile Butterfield Hiking Trail and for a variety of programs and special events year-round, like the Ozark Mountain Bike Festival held annually in the spring. 20201 East Highway 12, Rogers, AR 72756 Park Information: 479-789-5000 Email: Hobbs@Arkansas.com Visitor Center GPS: 36.284877, -93.93883 Hobbs is Arkansas’s largest state park, spanning a 12,054-acre tract of Ozark landscape along the southern shore of Beaver Lake. It’s an asset to the ecosystem and water with minimum human impact. Highlights of this day-use park include a diverse, 36-mile trail system with hiking, ADA, mountain biking, and horseback riding trails, 6 primitive campsites, and a public outdoor shooting range (closed Mondays for maintenance). It’s the only state park in Arkansas to allow regulated hunting. The visitor center includes exhibits about the park’s natural resources, limestone landscape, and history. Interpretive programs and workshops are offered throughout the year. This park is located in two areas on Lake Dardanelle, a 34,300-acre reservoir on the Arkansas River. The main site is in Russellville where youâ&#x20AC;&#x2122;ll find the Sport Fishing Weighin Pavilion, a fishing pier, boardwalk, trail, and visitor center with five aquariums and the Lakeview Room meeting facility. Itâ&#x20AC;&#x2122;s also a National Park Service-certified site on the Trail of Tears water route. Park interpreters lead a variety of programs and lake tours. There are 57 campsites in the Russellville area of the park (16 Class AAA, 14 Class AA, and 27 Class B) with 18 Class B sites in the Dardanelle area of the park. P.O. Box 4, Mountainburg, AR 72946 Park/Campsite Reservations: 479-369-2469 Cabin/Group Lodging Reservations: 888-695-3526 Email: LakeFortSmith@Arkansas.com Visitor Center GPS: 35.695346, -94.118733 A beautiful multi-use area on the banks of Lake Fort Smith, this is a scenic, well-maintained park in the Boston Mountain Valley of the Ozarks with camping, fishing, kayaking, hiking, and mountain biking. For backpackers, it is the western terminus of the â&#x20AC;&#x2030;240-mile Ozark Highlands Trail. The park offers 30 campsites (20 Class AAA and 10 Class B), 10 cabins, a swimming pool, marina with boat rentals, pavilion, picnic sites, and group facilities including a dining hall and two group lodges with full-size kitchens. The visitor center houses a replica pioneer log cabin and covered wagon with exhibits and programs on the areaâ&#x20AC;&#x2122;s early history. Park interpreters lead guests on nature hikes and lake tours year-round. MOUNT MAGAZINE STATE PARK cont. heated indoor swimming pool, fitness center, and game room. From its setting on the mountain’s south bluff, the lodge offers breathtaking views of the Petit Jean River Valley and Blue Mountain Lake in the distance. Its beautiful setting and first-class facilities make the lodge a top choice for romantic getaways, weddings, conferences, and corporate retreats. The conference space can be divided into three meeting rooms or opened up for banquet-style seating for up to 192 people. Skycrest Restaurant seats up to 125. Thirteen cabins share the same view as the lodge. Choose from one-, two-, and three-bedroom options with fully equipped kitchens, fireplaces, and covered decks with outdoor hot tubs. There are also 18 campsites on the mountain (two Class AAA and 16 Class AA with tent only options). This is by far the best state park I have ever visited. The lodge is gorgeous and well maintained. The cabins are beautiful - ours even had a hot tub. All the rooms have lovely views. We were also fortunate to see a lot of deer. Early morning mist and drizzle only made experience more fun. Totally stunning sunsets had people walking out of restaurant to take pics. ~ petraAbuDhabi_Uae from Texas. TripAdvisor/A Trip Advisor Traveler. June 28, 2017. Situated in the Arkansas River Valley just 45 minutes from Arkansas Wine Country, this state park sits atop the 1,350-foot Mount Nebo. The 1930s-era Civilian Conservation Corps constructed many of the rustic-style cabins, pavilions, bridges, and 14 miles of hiking and mountain biking trails. Cabin 1 was the first cabin rental in state park history. Twelve of the parkâ&#x20AC;&#x2122;s 15 cabins are located along the bluff and have views of the river valley below. Most of the campsites do as well. There are 34 campsites (24 Class B and 10 hike-in tent sites). Other facilities include a swimming pool, tennis courts, picnic areas, pavilions, and visitor center with gift shop. PETIT JEAN STATE PARK cont. The park mirrors the mountainâ&#x20AC;&#x2122;s rugged beauty with its rustic-style, native log and stone facilities constructed by the Civilian Conservation Corps (CCC) beginning in 1933. The CCC built trails, roads, bridges, cabins, and the focal point of the park, historic Mather Lodge, a 24-room lodge overlooking Cedar Creek Canyon with a restaurant, meeting rooms, and gift shop. The fireplace in the lobby serves as a welcoming gathering place in the winter. Near the lodge are 33 cabins (21 with kitchens) located along the bluff with views of the canyon. Another cabin with a kitchen is a short drive away. Most of the cabins are the rustic CCC-style with modern amenities, and a few are duplex designs. Upstream from Cedar Creek, a CCC rock dam forms Lake Bailey, 100 acres for fishing, kayaking, and pedal boating. Open in the summer months, the boathouse offers a snack bar, boat rentals, and supplies. The 125 park campsites (35 Class AAA and 90 Class B) are near Lake Bailey. Other options include a group camp area, rally-style area, and four Rent-A-Yurts. The park also has an airport. For information about the airport, call 501-374-5022. Two swimming pools, picnic areas, playgrounds, pavilions, boat launch ramp, lighted tennis courts, and an amphitheater are also on site. Hiking trails lead through forests and meadows, over canyons, and along streams and the mountainside. See where nature formed sheer bluffs, the spectacular 95-foot Cedar Falls, Seven Hollows, and such distinctive features as Bear Cave, the Grotto, Natural Bridge, and other formations like carpet rocks and turtle rocks. Interpreters lead programs and special events throughout the year showcasing the uniqueness of this park. Rarely do you find a place that will beckon you back again and again. Petit Jean is that place. Come discover the beautiful, mystical qualities of Arkansas’s first state park. 506 East Douglas Street, Prairie Grove, AR 72753 Park Information: 479-846-2990 Email: PrairieGrove@Arkansas.com Battlefield Museum GPS: 35.983137, -94.310686 Authentic, expansive, and well preserved, Prairie Grove is known as one of America’s most intact Civil War battlefields. With more than 900 acres, this park commemorates the site of the Battle of Prairie Grove, where on December 7, 1862, Confederate and Union forces clashed in a fierce day of fighting that resulted in 2,700 casualties. This battle marked the last major Civil War engagement in Northwest Arkansas. The park offers walking and driving tours, programs, and weekend events. At the Hindman Hall Museum, artifacts recovered from the battle are displayed. Admission to the museum is free. Arkansas’s largest Civil War battle reenactment takes place here biennially (even-numbered years) the first weekend in December. Native American mounds, Louisiana Purchase lands and Civil War battlefields are just a few of the historical sites in Arkansas. Many state parks help tell the stories of the events that took place and the people who lived them. For your safety and to protect park facilities and resources, rules and regulations are enforced throughout the parks. If you have any questions about these policies, visit ArkansasStateParks.com, or ask a staff member or park ranger to assist you. GENERAL INFORMATION •	While parks are open throughout the year, some facilities are only available seasonally. •	Uniformed park employees are on call 24 hours a day. •	Small fees may apply for interpretive programs and special events. •	Maps and details are featured in individual park brochures available at each state park, at Arkansas Welcome Centers, and online. CABINS AND LODGES •	Cabins and lodges may be booked by phone or online at ArkansasStateParks.com. •	The lodges at DeGray Lake Resort, Mount Magazine, Petit Jean, and Queen Wilhelmina State Parks are open 24 hours a day with reservations accepted one year in advance, with group reservations available up to two years in advance with deposit required. •	Cancellation notices are required for refunds. •	Park facilities are rented to visitors 18 and older. •	Dog-friendly lodging available at 14 parks. Facilities are limited and fees apply. CAMPSITES •	Thirty of the 52 state parks offer camping. •	Campsites are available by reservation online at ArkansasStateParks.com, by phone, or on a first come, first served basis at the park visitor center during business hours. •	Camping regulations are online at www.adptfoi.com/parks. •	The majority of campsites offer water and electric hookups, picnic tables, grills, and lantern hangers. Some are combination tent/RV sites. •	Restrooms, hot showers, and dump stations are available in most areas. •	Weekend reservations are a two-night minimum. A three-night minimum is required for holiday weekends. •	Campsite occupancy is limited to eight people and one camping unit of no more than two structures. PAVILIONS •	Pavilions, recreation halls, and group areas are available by reservation. •	Advance payment required. •	Guests are responsible for clean up. SWIMMING POOLS AND LIFE GUARDED BEACHES •	No children under the age of 2. •	Children under the age of 10 must be accompanied by a paying adult (limited to three children per paying adult). •	Swimming pools may be rented for private parties after closing hours. Lifeguards are provided by the park. Contact the park to make arrangements. PETS •	Pets must be kept on a leash or caged to avoid other pets and guests. •	Pets are not permitted in public buildings, swimming pools, beaches, or lodges or cabins unless specified as dog-friendly. •	Service animals welcome. DISORDERLY CONDUCT •	Offensive language, inappropriate behavior, and indecent attire are prohibited. QUIET HOURS •	Observed between 10 p.m. to sunrise. Any undue disturbances will result in ejection from park. STATE PROPERTY â&#x20AC;˘	The destruction, defacing, or removal of any public property, including trees, plants, signs, buildings, and equipment, is unlawful. SPECIAL NOTE To ensure the safest and most enjoyable state park experience, be respectful of the natural world. There are some areas that are potentially hazardous to all visitors. Use caution when approaching any dangerous spots, such as cliffs, bluffs, caves, swamps, streams, and lakes. Adults are responsible for children in their care. If unsure about any hazards, please consult a park ranger or staff member. OUTDOOR ETHICS We are a partner with the Leave No Trace Center for Outdoor Ethics and encourage our visitors to practice their seven principles for responsible recreation.